yeah interesting read..thx. I was wondering, maybe companies must have made a lot of spare lc's in case of? 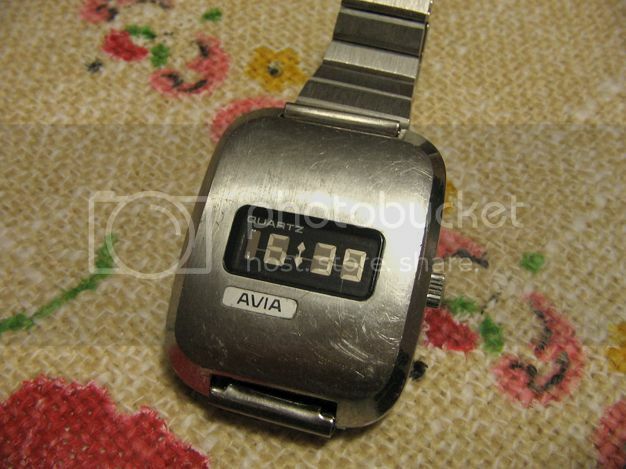 I also never seen that swissonic watch. 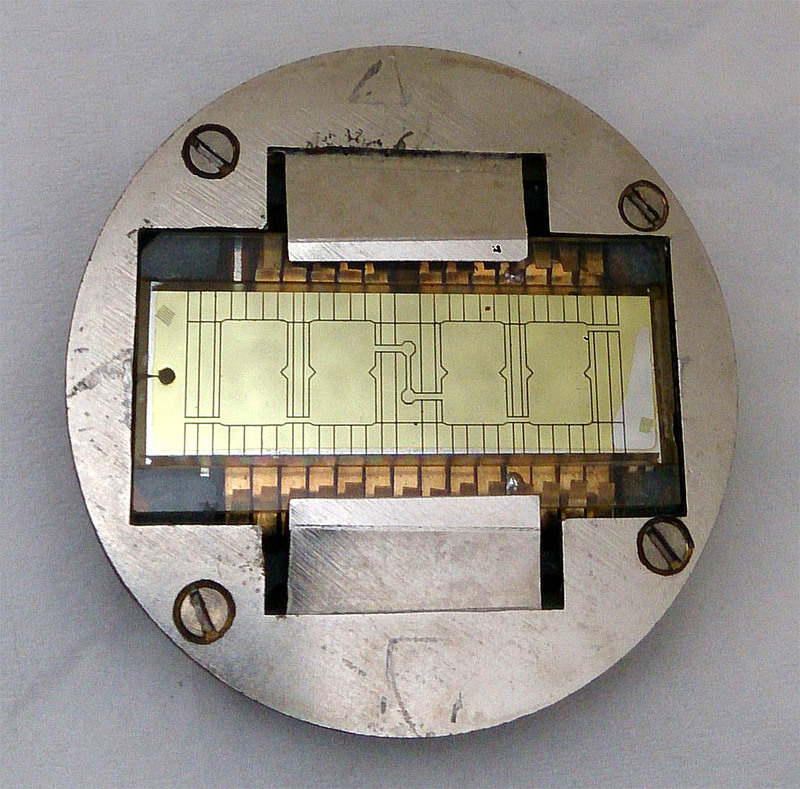 the Swissonic DSM LCD was an ESA calibre with support from Texas Instruments and it is known from pictures showing it with a Longines branding. Pieter Doensen described this watch in his book and website and that it was awarded a design award. 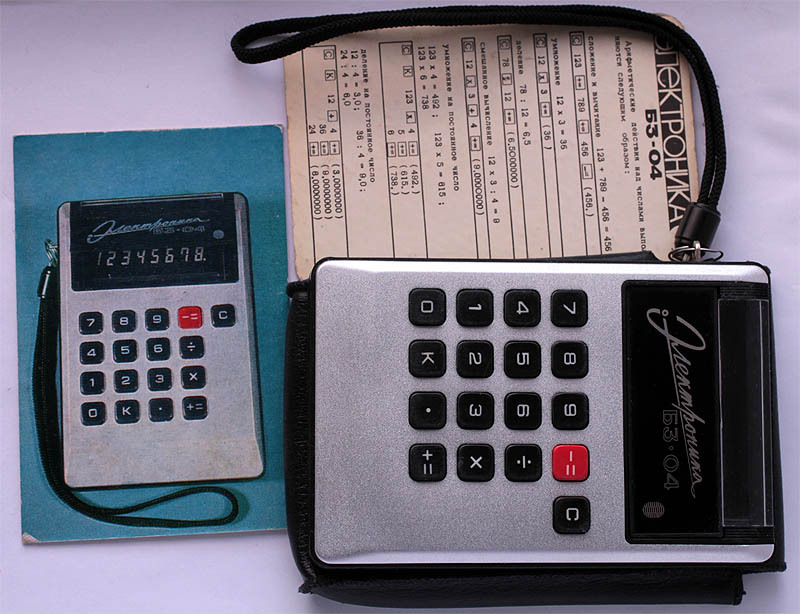 1972	Caliber ESA 9260 of the 'Swissonic 2000' line, produced by Ebauches S.A. (ESA), Longines and Texas Instruments with the name 'Clepsydre' reaches the market. Only very few watches were sold by Longines. 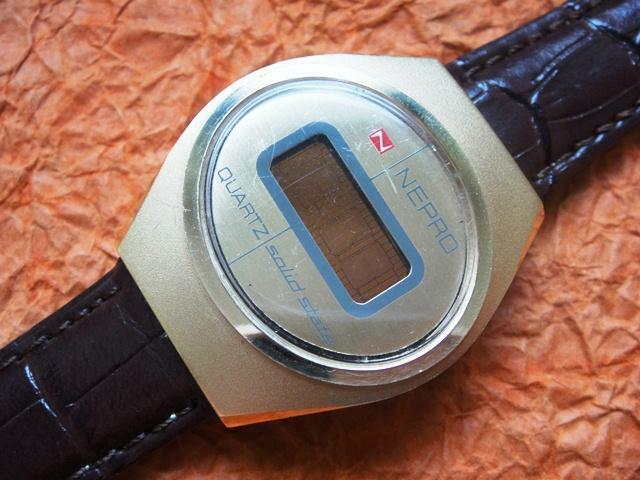 In 1972, this watch won a prize as one of the hundred most advanced products of the year 1972, awarded annually by the 'Annual Research Conference and Awards'. Here is a description from Tom Hyltins Digital Watch book, email me if you're interested in reading the full book. Now that i have finally joined the DSM club here's a picture of mine. Where's my cigar??? It looks wonderful Stefan! I'm very glad you've liked the watch. Here's my contribute to the thread. I must say that taking pictures of DSM watches is so hard, I had to take a lot of them before picking the best ones. 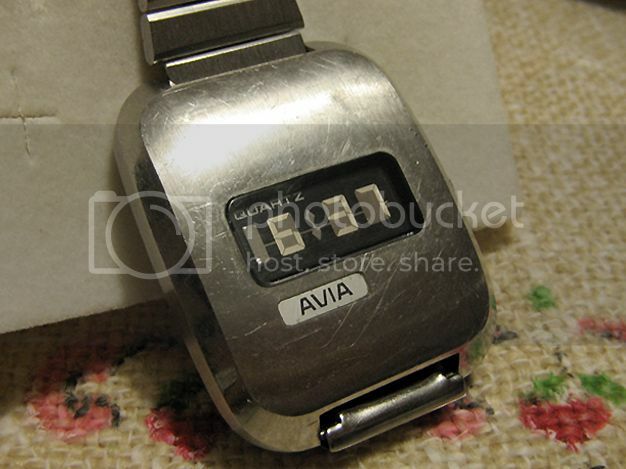 The bracelet comes from an old Timex Q Quartz I keep for parts. It's the only 19mm bracelet I got, but IMHO is the one that looks better on the watch. 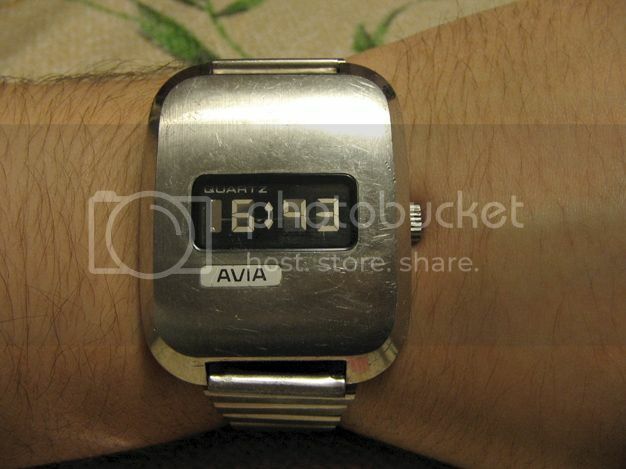 I've nicknamed the watch "Bender" because it reminds me of the robot from Futurama. I finally got a new bracelet. Some broken old National Semiconductor thought it wanted to donate one. Solid link. What is hard to see in the pictures is that the outer edges have a mirror polishing while the bigger inner part of the links is brushed, just like the watch itself. So I think it is a perfect match. fronzelneekburm wrote: Solid link. 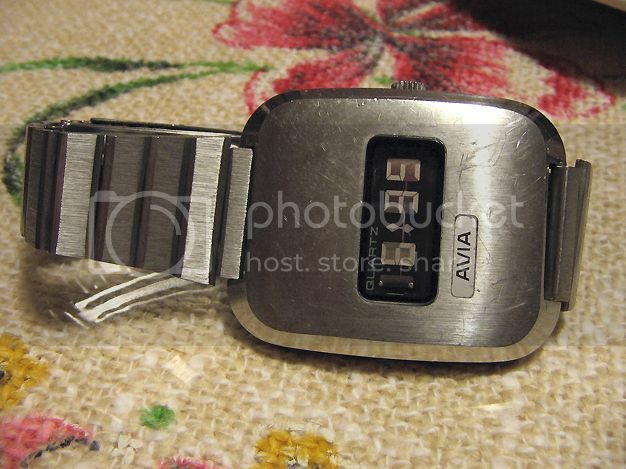 What is hard to see in the pictures is that the outer edges have a mirror polishing while the bigger inner part of the links is brushed, just like the watch itself. So I think it is a perfect match. azimuth_pl wrote: nice pics, the Tarnan logo just reminded me on how poor the branding on these watches was designed. it has been made with gaps although it was the first Optel order and marketed watch...amazing they didn't have focus on quality? 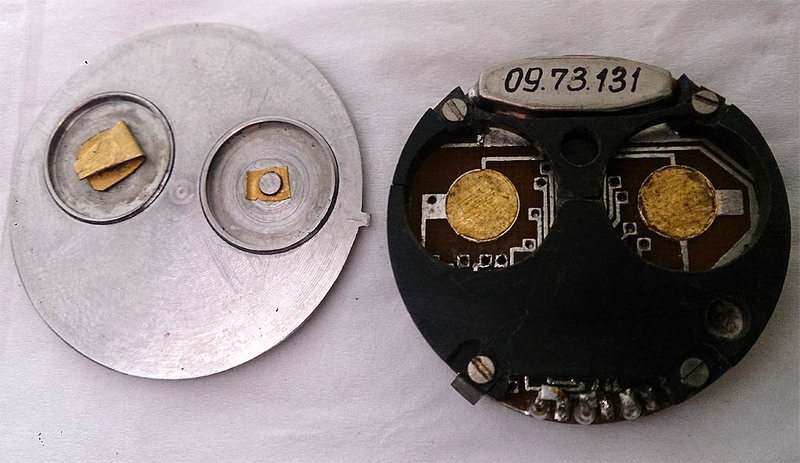 still it allowed to quickly and cheaply modify any number of watches for any customer by swapping a label. hi there, I'd love to but the watch is now in the hands of Peter from Germany. 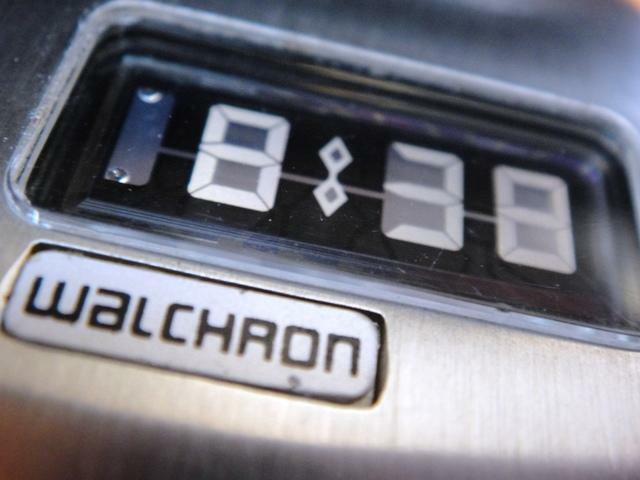 Just noticed - I have exactly the same watch as that Walchron - same flashing display, box, papers, band, ill fitting badge, everything. But mine has got solid colons. I know the display is original as I bought it as New Old Stock. Wonder why they changed it? azimuth_pl wrote: hi there, I'd love to but the watch is now in the hands of Peter from Germany. I've got another "bender" :) With what appears to be an original bracelet. New arrival. Supposedly dead... a little tickle and she smiles(and so do I). Big thanks to Timeline for getting her to me safely. DWL wrote: New arrival. Supposedly dead... a little tickle and she smiles(and so do I). @dutchsiberia : wear with proud my friend. 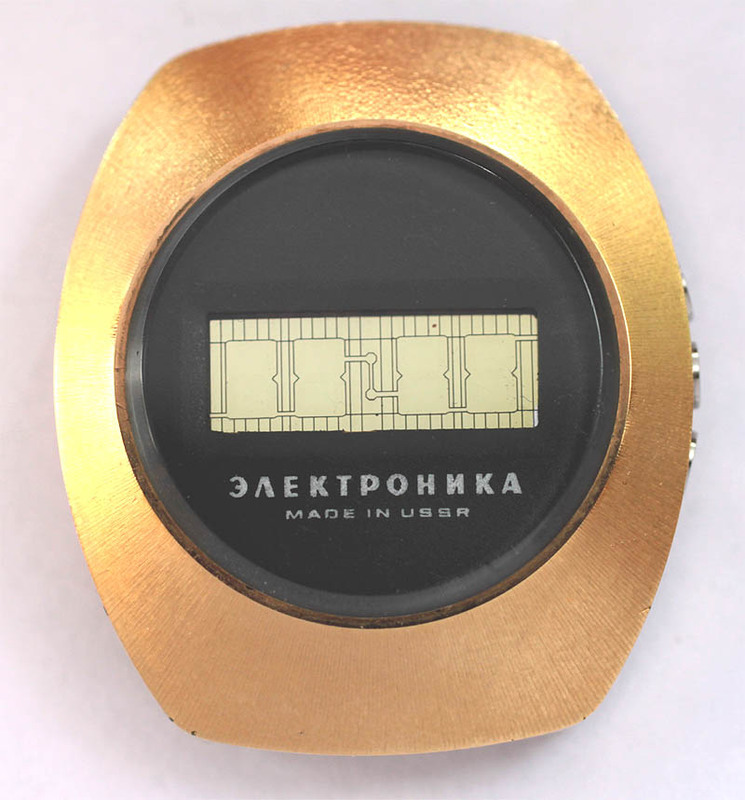 Russian DSM watch, perhaps one of the earliest LCD watches, made in USSR, not mass production. Approx the end of 1973. The watch doesn't work, but Microma look like display still is in a good condition. 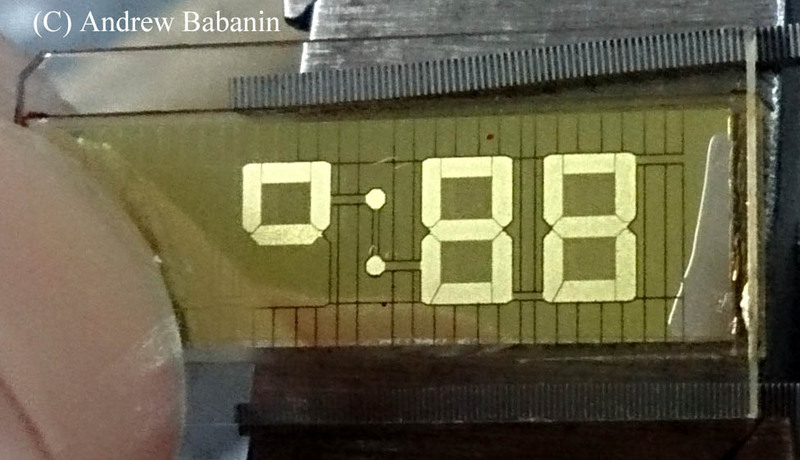 First Russian pocket calculator, based on this type of display. Also doesn't work (digits are still slightly visible). The project began in 1973, first proto was produced 9 months later. In the end of 1974 there was mass production.